The final round of qalifying is set after the eight second-round matches wrapped up at the 2011 Atlanta Tennis Championships. Each of the remaining players is fighting for one of the four open spots in the main draw. Those who win tomorrow will face either American teenager Ryan Harrison, rising Bulgarian star and No. 6 seed Grigor Dimitrov, fifth-seeded Russian Igor Kunitsyn or former world No. 1 Lleyton Hewitt. 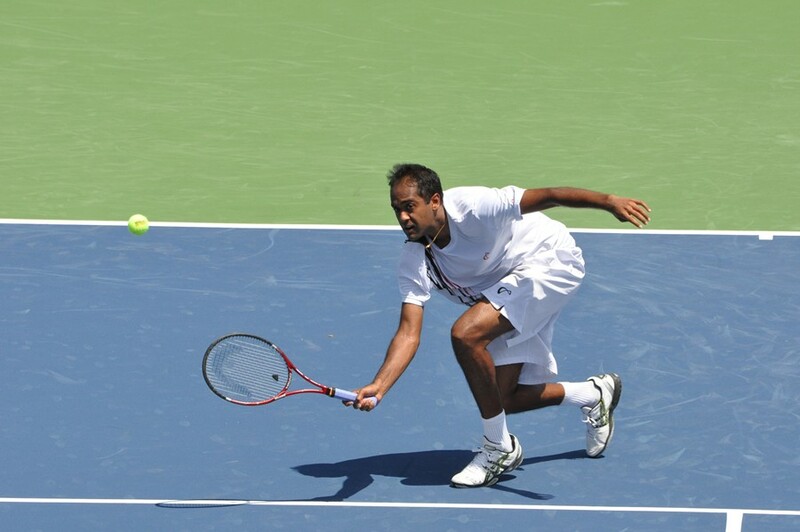 In center court action, American Rajeev Ram overpowered 2000 Olympic Gold Medalist Nicholas Massu in their first meeting since 2002. The qualifying sixth seed will now face the second-seeded Australian, Matthew Ebden. Ebden defeated Daniel Kosakowski, the American who played his freshman year at UCLA this past season. Hometown favorite and Georgia Bulldog Wil Spencer lost in two tight sets to the Hatian Olivier Sajous. Sajous now plays third-seeded Yuichi Sugita after the Japanese native secured his spot in the final round with his win over Haydn Lewis of Barbados. Denis Kudla, one of four Americans to reach the quarterfinals last week in Newport, was down a break early in the second set to local teenager Austin Smith, but won six of the last seven games to close out the match. Awaiting him in the final round is the number one seed in qualifying, Marinko Matosevic. The Australian hit with Lleyton Hewitt last week in the Bahamas and is looking to be in good form after his win over Birmingham, Alabama’s five-star recruit Mac Styslinger. The final qualifying spot will go to an American as Tim Smyczek and Phillip Simmonds both won their matches and will now face each other. Smyczek, the fourth seed, had no trouble taking care of Gabriel Townes, another American, in straight sets. Simmonds pulled off the only upset of the day, taking out the fifth-seeded Australian, Greg Jones. The four spots in the main draw reserved for qualifiers could be occupied by as many as three Americans or as few as one. The final round of qualifying starts at 1:00 p.m. tomorrow and will be followed by the main draw first round matches, which will not begin before 4:00 p.m.